work relating to Australia’s interests. specific employees from overseas with highly specialized skills, may consider a short stay specialist 400 visa. The visa application has to be made outside of Australia. The applicant will need to have specialised skills, knowledge or experience that can assist Australian business or be required in Australia for exceptional circumstances of national importance. • Be invited by an Australian or overseas company and needs to demonstrate they have a need for specific specialist skills from overseas to assist in fulfilment of their contract in Australia. 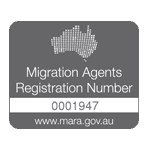 • The visa applicant has to demonstrate that he or she has highly specialized skills, knowledge or experience that can assist an Australian business in fulfilling a project or contract which cannot reasonably be found in the Australian labor market. The work has to be non-ongoing. This means that the work is likely to be completed within a continuous period of six months or less. • There should also be benefit to Australian employees through the transfer of skills by the overseas employer to Australian employees. Generally, the visa is granted for up to three months, but up to six months may be allowed in limited circumstances.